There were so many moments where this book struck me to be perfect for this industry. So if you enjoy this article, then I’d definitely recommend you check out the whole book. One of the biggest points that the author makes in this book is that self-discovery can make a far greater impact than self-promotion. That is if you begin to share your progress with people. By being true to yourself and sharing your genuine interests and thoughts online, you are going to attract a much more passionate and loyal audience. This kind of thought-process sings for salon owners. One of the greatest things about your job is that it’s an ongoing learning experience. Not just in management, but also in creativity. It is also an incredibly personable industry, one in which you develop and nurture face-to-face relationships on a daily basis. You’re In A Perfect Position To Show Your Work! How do you engage, entertain and inspire your audience when they are not in your salon? Well, that’s where the ‘show your work’ concept comes into play. And it doesn’t just mean before and after photos. It also means providing a glimpse into your progress and sharing what inspires you as you put your material together. For example, if you were looking to design a new salon menu for the season, instead of just introducing the menu as a finished product, how about you involve your audience from the beginning? Let people see how you came to decide on which looks to introduce. Maybe even share some photos of you and your team perfecting it! Invite your audience behind-the-scenes as you build your menu. This could eventually lead to an event where you introduce the new menu in person (with some prosecco and snacks perhaps! ).The best thing is that you would have filled the event with fans through the honesty of sharing, rather than uncomfortable self-promotion. The best thing about this self-progress campaign is that you would have filled the event with fans through the honesty of sharing, rather than uncomfortable self-promotion. On a recent episode of Phorest FM, I was chatting with Killian Vigna and Zoé Bélisle-Springer about ways you can use storytelling to help your marketing strategy. 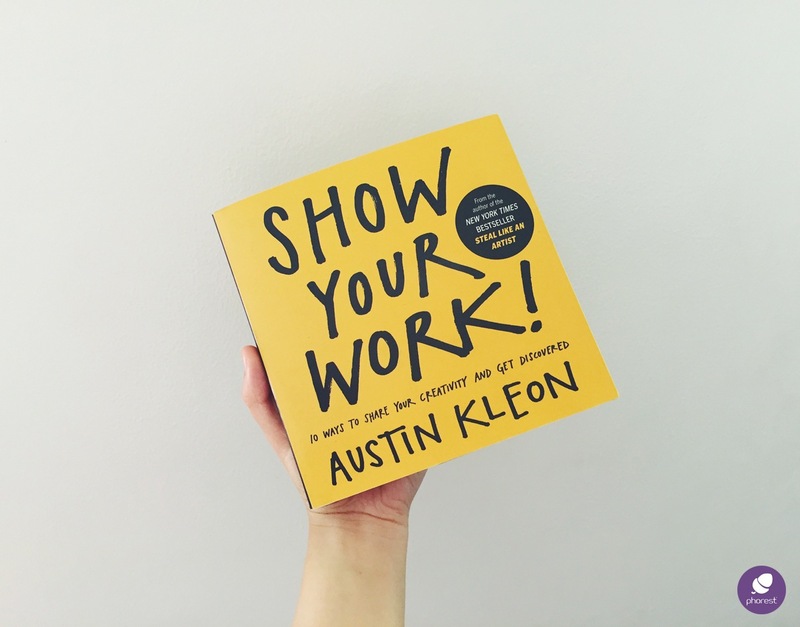 Well, Austin Kleon has some great insights into this idea as well. We’ve all heard the phrase “My work speaks for itself.” It’s usually used by creatives who want their work to be appreciated for what it is, rather than how it came to be. In a section of the book, Austin discusses how the concept of “My work speaks for itself” is a bit misguided. Human beings are so interested in understanding where things come from, how they are made and who made them that this idea of the work speaking for itself is actually off-putting. It is the story behind something that creates the value. The same goes for the story behind your work and your business. You may think that value comes from the work. But if we take Austin’s point-of-view, the value actually comes from the person creating the work. And that is something that makes the entire experience much better. Not just for your clients… But for yourself as well! I hope you enjoyed this summary of Show Your Work! By Austin Kleon. I had a genuine blast reading it, and I’ll be dipping back into it this year and beyond. Are there any other books that you would like us to discuss on the Phorest Blog? Let us know in the comments below, or tweet us @ThePhorestWord!